Now my fifth DevMaster is done. Again, with a 32bit processor with Atmel ARM7 core. 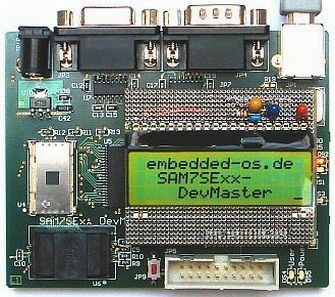 This time with the AT91SAM7SE512, with its external memory bus all possible types, as well as additional I/O controller can control. 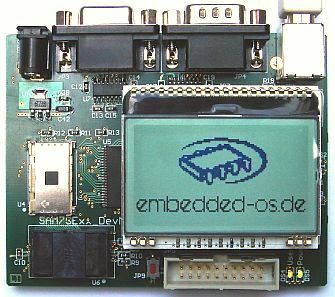 Because it already several Ethernet-AddOn boards exist (see eg Olimex DM9000E-H), the integration of a fixed Such was omitted. If necessary, each controller via piggyback extender port can be connected. 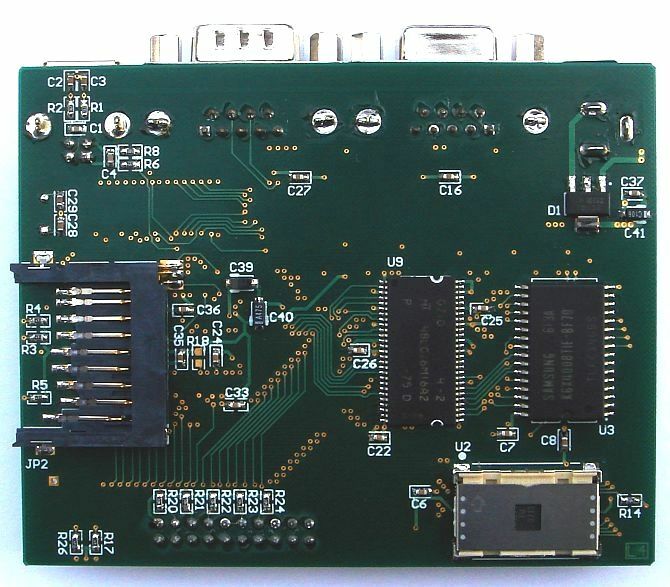 For further bus devices and the remaining IO's (SPI, TWI, ...) it can be used. Instead, a variety of memory types were firmly on the board planned - some optional (same footprint) with sockets. 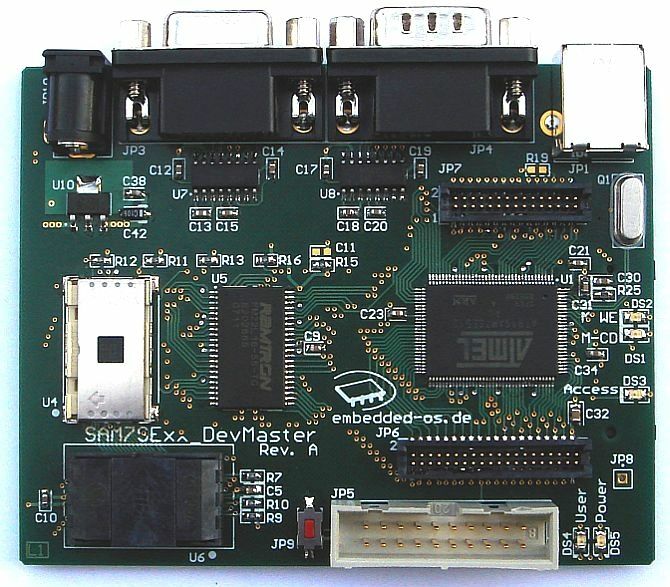 As with the previous DevMaster boards remained due to the interface desires, components and compactness only 'do-it-yourself'. The generated extender pinning can be used for the liberal IO's, and other interface types. Of course, all (non system-bus) pins are configurable as PIO pins and can be used according to their own ideas. The following C code serves the initiation of all OnBoard memory. A pattern test and an index-data test can then verify the full functionality of the memory. The sockets were selected on the basis of the optional use. This means that the footprint of IC's should remain usable. So a layout can be used for both variants - with or without a IC-socket. They can also directly at the German distributor GSE - Gabi Schmitt Elektronik (email - unfortunately without a homepage) may be paid. Following an additional Init-project with user basic-functions. 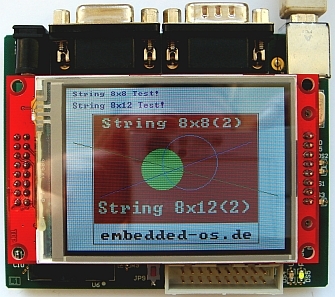 This time two 3.3V LCD-display's where connected via SPI on the extender-port. In addition to the serial port, only 2 PIO-pins are needed as control lines. For the DOGM128-6 also a PWM-output for brightness control of the backlight was used.